Born Melbourne and studied at RMIT, Walker came to Hobart 1947. 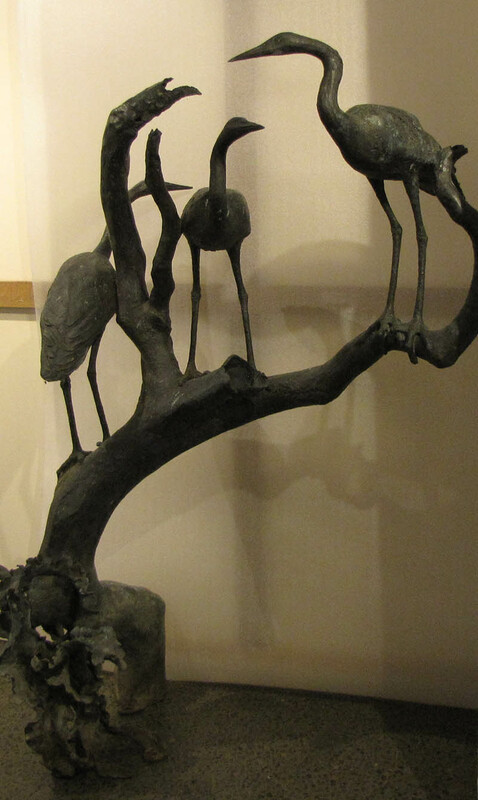 Typical of the period he went overseas for further experience and studied under Henry Moore and further in Italy working in two Italian sculptural foundries between 1953 and 1970 before returning home and establishing his home and own foundry at Campania. He pioneered a unique method of mould heating for the lost wax process that enabled him to produce large scale sculptures very economically. Walker has created a unique presence of major public works predominately in Hobart however it is very rare to have available a work of a smaller scale and also to have one available for acquisition. Many of these works are classified under National Heritage Register. 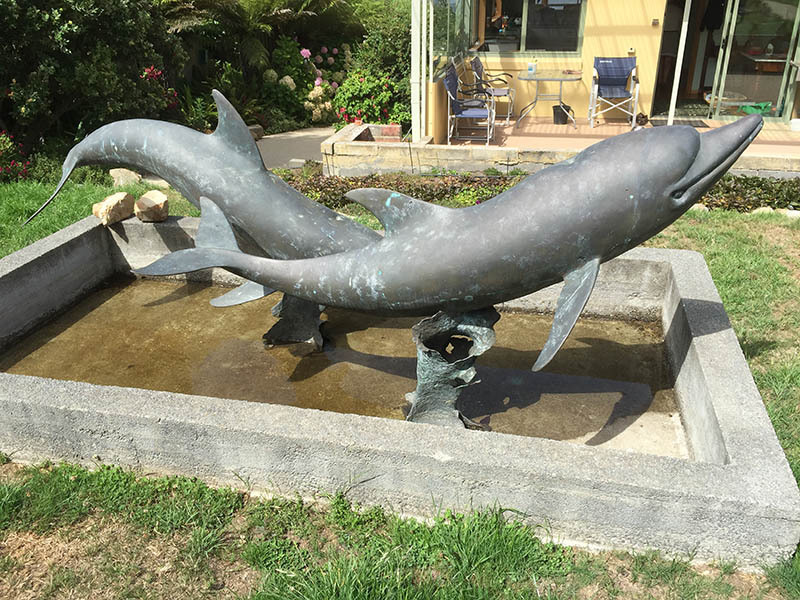 Living close to Hobart and the connections to the Southern Ocean and Antarctic along with his love of birds and marine life, saw many of the works encompass natural studies of fauna. 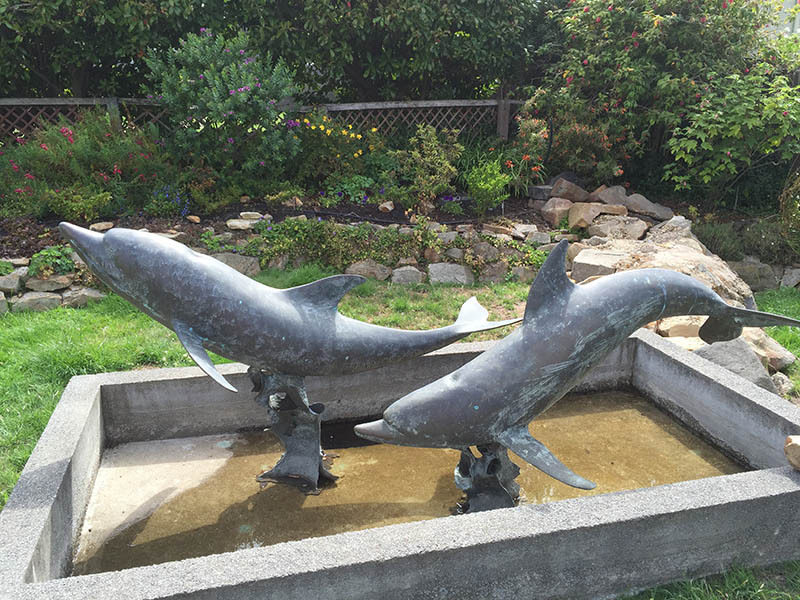 Sculpture is designed to have water flowing through so that the lead dolphin appears to be riding on a wave. Artists drawings, sketch and design for the work provided with the piece. Many of these works are classified under National Heritage Register. 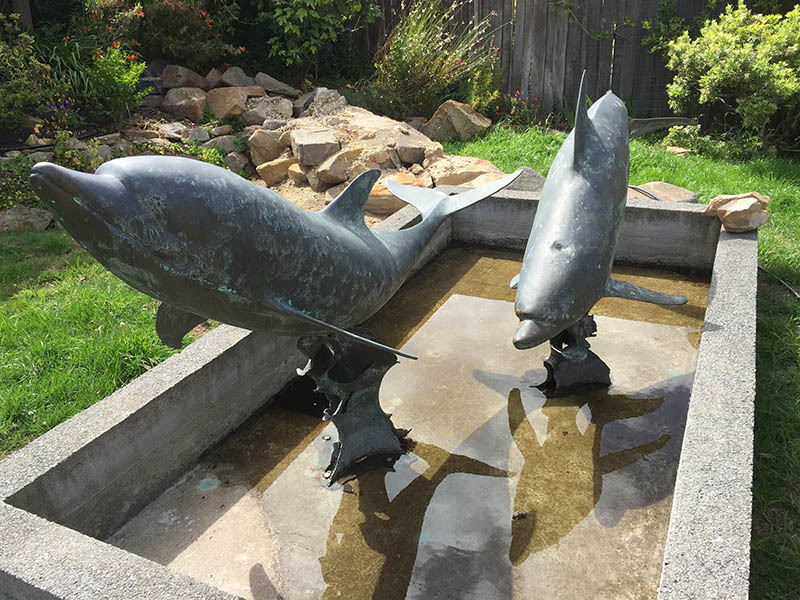 Living close to Hobart and the connections to the Southern Ocean and Antarctic along with his love of birds and marine life, saw many of the works encompass natural studies of fauna.